Welcome to the Toolroom Stamping Co. 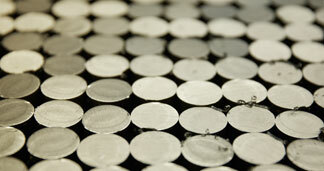 The TOOLROOM STAMPING Co. is a full service manufacturer offering experience in designing and building stamping dies. Progressive volume production is what we do! We will work with your company's requirements in "tooling up" and getting "production ready" or run your existing tools. Having your parts stamped so close to home is how we hope to gain your business. We provide stampings for customers throughout the Western United States. It is through quality parts and good service that we plan to keep your business. 1-801-773-6331 | F5 section 3, 5th St Freeport West Industrial Park clearfield, UT 84016 | © 2014 THE TOOLROOM Inc.